A young Muslim leader's memoir of his struggles to forge an American Muslim identity. Haroon Moghul was first thrust into the spotlight after 9/11, as an undergraduate leader at NYU's Islamic Center. Suddenly, he was making appearances everywhere: on TV, talking to interfaith audiences, combating Islamophobia in print. He was becoming a prominent voice for American Muslims. Privately, Moghul had a complicated relationship to Islam. By high school he was barely a believer, and entirely convinced he was going to hell. He sometimes drank. He didn't pray regularly. All he wanted was a girlfriend. But as Haroon discovered, it wasn't so easy to leave religion behind. To be true to himself, he needed to forge a unique American Muslim identity that reflected his own beliefs and personality. 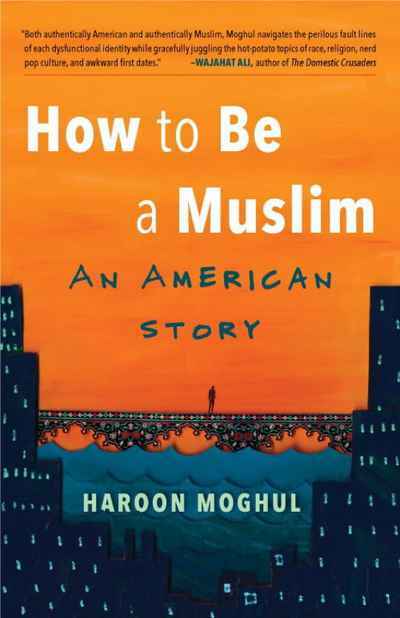 How to Be a Muslim is the story of a young man coping with the crushing pressure of a world that shuns and fears Muslims; struggling with his faith and searching for intellectual forebears; and suffering the onset of bipolar disorder. This is the story of the second-generation immigrant, of what it's like to lose yourself between cultures, and how to pick up the pieces. Read more about How to Be a Muslim in this review.